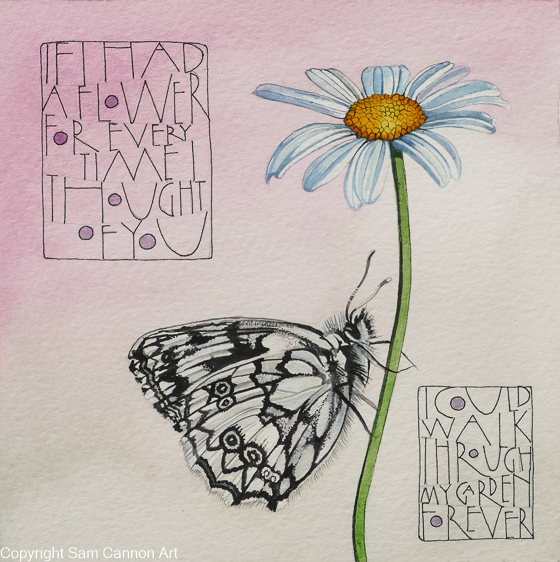 title: If I had a flower - I thought this quote was by Tennyson but have various version attributed to other writers too. The unframed original is £150. If you would like to purchase this original painting please email me at info@samcannonart.co.uk or phone me on 01297 480908 and I can tell you about payment options and discuss the various shipping costs available.